It’s a widely known fact that Poles love their vodka, a spirit with a history and culture that are as interesting and complex as Poland itself. Which is exactly why sampling the national beverage was a main priority of mine when visiting Warsaw last month. But instead of braving the bars (which sources say there are more of than churches) by myself, I decided to enlist the services of a true expert to better understand what sets Polish vodkas apart from the rest. 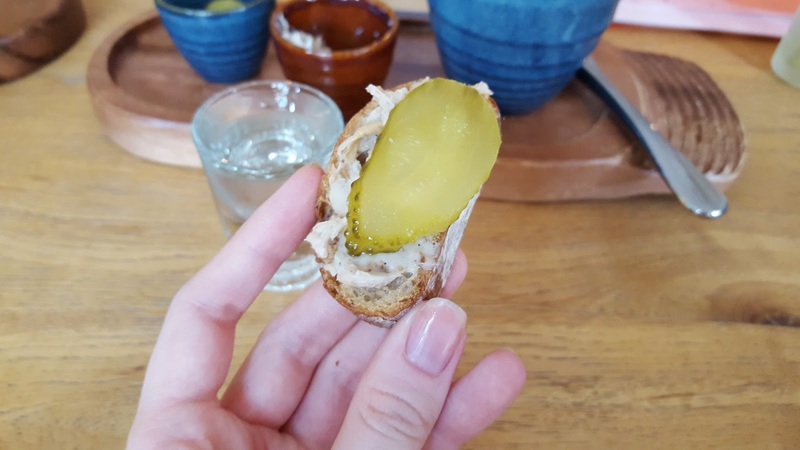 That expert was Eliza, a tour guide from Eat Polska, a top-rated food tour organization that gives visitors a literal taste of Poland’s delectable cuisine and vodka. I met her and my fellow Vodka Tour tourmates at the designated meet-up spot just across from Warsaw's lone palm tree in the city center. She escorted us to the first vodka bar, where we broke the ice and began our vodka escapades for the evening. Vokda bars like this, Eliza told, us were a somewhat new kind of establishment. She recalled being a young girl in Poland during the 1990s, when American soap operas were all the rage. The actors, with their big hair and over-the-top styles, socialized at elegant parties and toasted with champagne. Polish dramas, on the other hand, often portrayed the average Pole as one suffering from the effects of a society that had just bore the brunt of a few decades of communism. Sloppy and depressed, these alcoholic characters did little to portray vodka in a positive light. 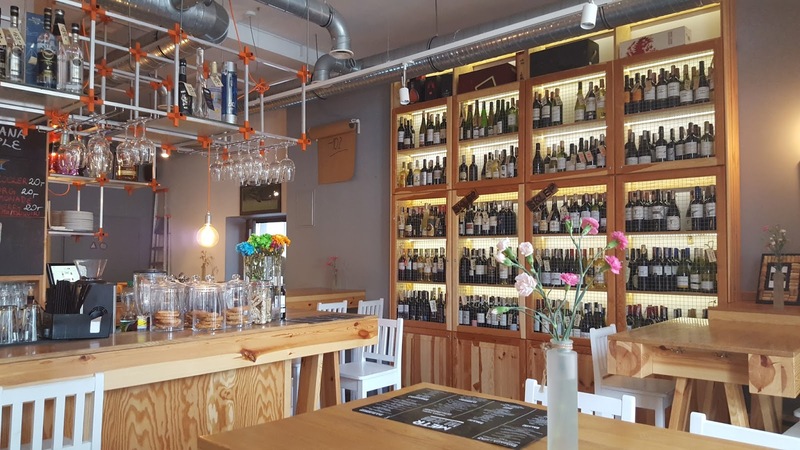 It wasn’t until the 2000s that the opening of a stylish vodka bar, popular among Warsaw’s youth, made the drink trendy once again. As I took a look around the bar, it was quite clear why. It was fairly small, but spacious enough to accommodate a few friend groups eager to start a night out on the town. Simple but modern décor and a hipster-esque bartender only made the place more appealing. 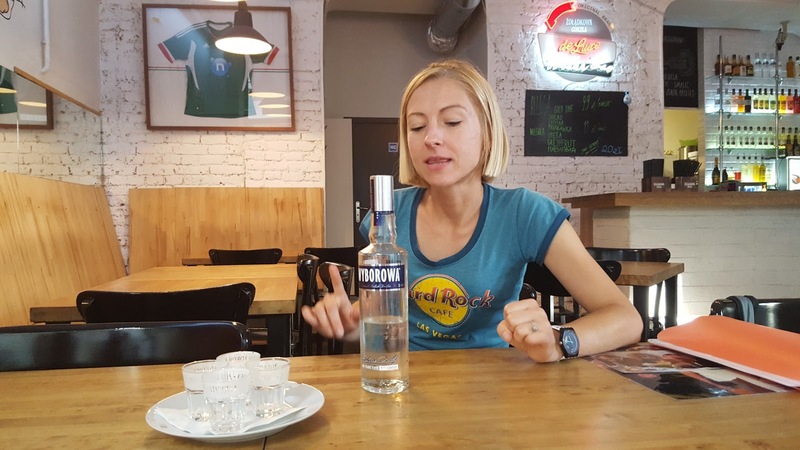 We were soon served up a shot of Wyborowa, a pure white rye vodka, which we drank neat—or by itself—in typical Polish fashion. 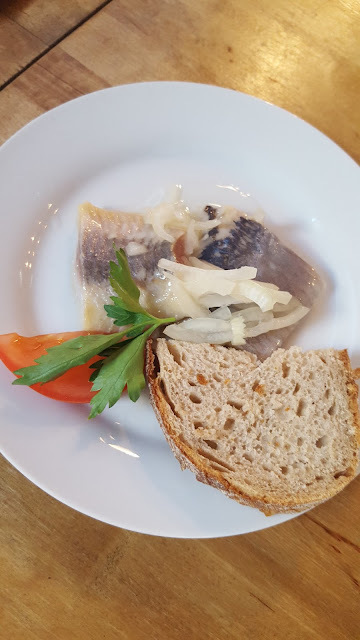 It had a nice, clean flavor that was only enhanced by the pickled herring that was served with it. As it turns out, Eliza told us, Poles never drink on an empty stomach, and typically chase their vodka with food. The best, she said, were fatty or sour—flavors that not only break the taste of vodka but also help to line the stomach. And, as we would soon learn, she was not kidding about the food. We ate A LOT throughout the course of the evening. In spite of all of these precautionary measures, the Poles have an additional safety precaution for preventing a hangover. With each glass, they drink to health, she said. We would use this toast—na zdrowie!—continuously as the night progressed. Next up was Żołądkowa Gorzka. Adhering to the standards of real Polish (multi-distilled, made in Poland and at least 37.5 percent alcohol), this one was strong but smooth, with a slight herbal flavor. 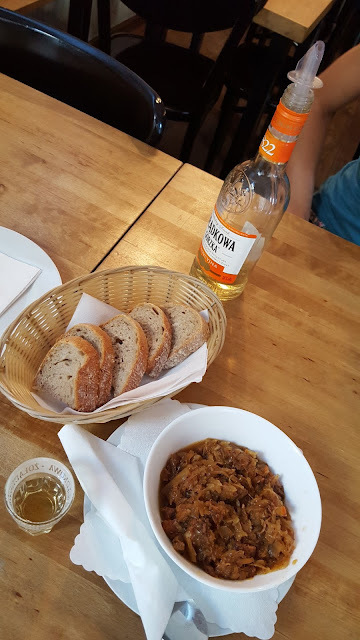 We followed it with a generous portion of bigos, a hearty stew of sauerkraut, mushrooms and meat. Each family has its own recipe, we were told, and is also consumed in copious amounts on Christmas Eve. We wasted no time in throwing back three distinctly different vodkas. They included J.A. 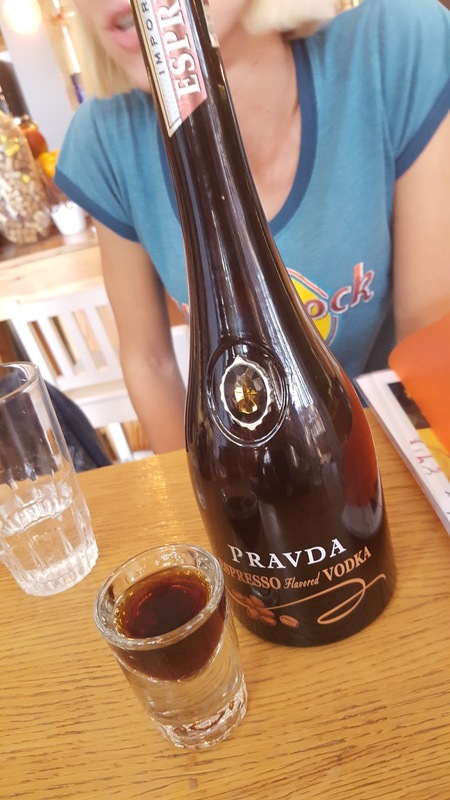 Baczewski, Poland's oldest vodka, Pravda Espresso, a coffee flavored vodka, and Soplica pigwowa. The latter was a fruity and super-smooth quince infused vodka and was my personal favorite of the evening... so much so that I made sure to buy a bottle before heading back to Korea. Poles, Eliza explained, love their infused vodkas. She spoke of how they often associate summer with cherry or lemon infused vodkas, and that each family usually makes a few bottles of their own every year to enjoy later in the cooler months. What better way to warm up? Eliza waited until we tried our next snack to tell us what it was. Always up for an adventure, I delved right in and quickly found out that I couldn’t get enough of the chleb ze smalcem i ogórkiem kiszonym. Or, in pronounceable words, pig drippings and pickle on bread. Or, as Eliza lovingly referred to it... "Pig Nutella." Next we ended up at a great little restaurant run by a chef from Texas for a special tasting. 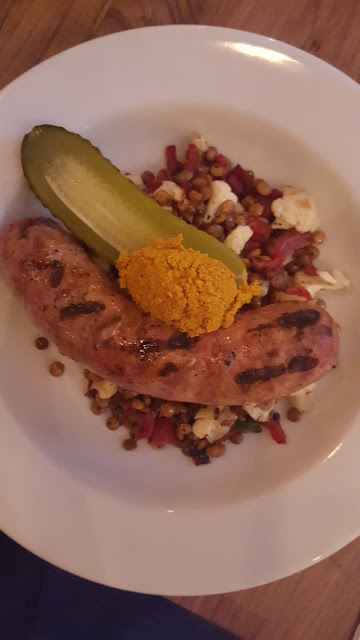 We started nibbling on a traditional Polish dish with a twist—white sausage over a bed of lentils topped with a nice heaping of a chalky mustard. This tasty concoction, which is commonly eaten on Easter, prepared us for our next shot. Vestal, to put it simply, smelled of "mistake." But I threw it back and tried not to wince. Eliza noted that this one was considerably special, as it is actually produced by an expat from New Zeland and his Polish wife in very small batches. Unlike “real” Polish vodka, this one was only distilled once, which explained its strong taste. Despite this, she told us, it has become increasingly popular among Warsaw’s young foodies and vodka connoisseurs. 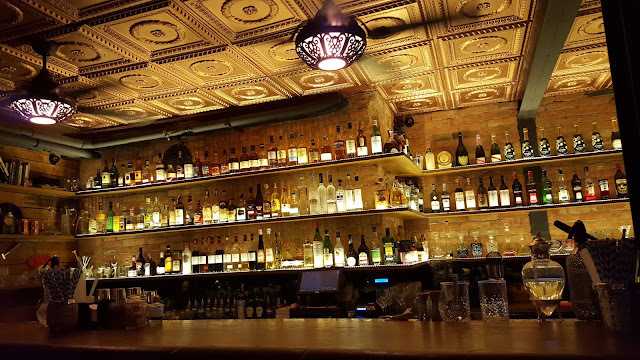 For our final stop on the tour, we ended up at an obscure but sophisticated joint with an impressive backlit bar and a speakeasy atmosphere. A dapper bartender in suspenders and a bowtie approached our table and inquired about our preferences in cocktails. After giving him a few descriptors, he used his mixology skills to whip up delicious cocktails with Żubrówka—a vodka made with bison grass. 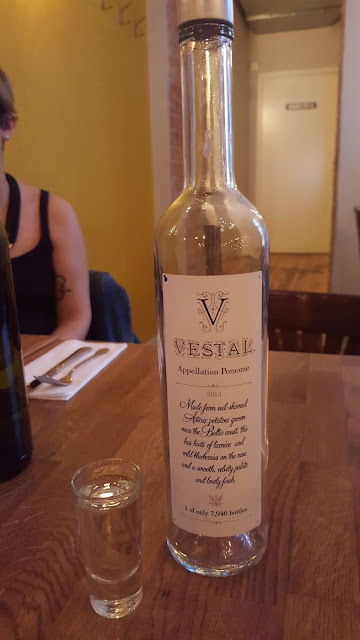 On its own, the vodka was good—and tasted unlike anything I’ve ever tried before. But when our cocktails arrived, looking as beautiful as they were delicious (mine was topped with a mini macaron! ), I was even more impressed with the powerful flavor combinations. Our small but now familiar group (isn’t it funny how alcohol has that effect?) toasted na zdrowie a final time, to one another’s health… and in hopes that none of us would be hungover the next day. As I made it back (read: stumbled) to my Airbnb that evening, I realized that vodka really doesn't get the attention it deserves. Eat Polska helped dispel the misconception that there are no discernible differences between vodkas—that they’re characterless and only good for mixing. I came to realize that vodka is a spirit of many unexpected attributes and flavors—a drink that has deep roots in Poland's history, holidays and traditions. And, thanks to Eliza's recommendations which she emailed to all of us following the tour, I was able to bring a few bottles back (which I may or may not have declared at customs) so I can relive my Poland memories at home. 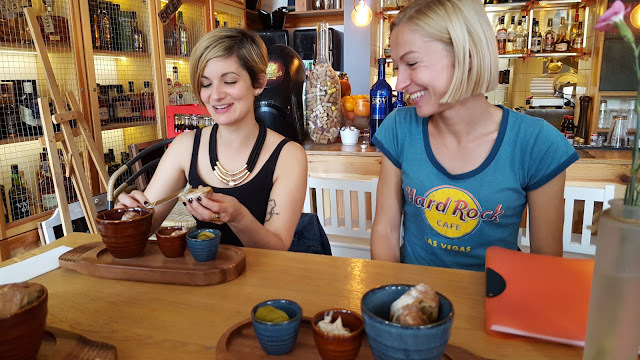 For more information about Eat Polska, as well as their food and vodka tour, check out their website here.